Verizon, which today announced its intention to purchase Yahoo for $4.8 billion, will be on the hook to Mozilla for over $1 billion through 2019. According to Yahoo's CEO, Marissa Mayer, Verizon may be liable for partial payments even if Mozilla cuts ties to Yahoo and seeks another search provider. Earlier this month, Recode and the New York Times claimed that the 2014 Yahoo-Mozilla contact gave Mozilla the right to switch to another search provider if Yahoo was sold. The contract, signed in November 2014, made Yahoo the default search provider for Mozilla's Firefox browser in the U.S. market. In return, Mozilla would receive $375 million annually for five years, or through the end of 2019. Yahoo's annual payment was about $100 million more than Google paid Mozilla during their last deal, which ran just three years, from late 2012 to late 2014. While Recode and the New York Times agreed on Mozilla's ability to get out of the Yahoo contract, they differed on the financials. Recode contended that Yahoo -- and thus any buyer -- was obligated to pay the full $375 million each year, even if Mozilla deemed the buyer unacceptable and switched providers in Firefox. The New York Times, however, said that if Mozilla dumped Yahoo, the latter would only have to make up the difference between its $375 million and the payment of Mozilla's new search partner. Both publications reported that Mozilla had the right to demand all remaining payments as a lump sum if it exited the Yahoo contract. Assuming Verizon closes the Yahoo deal in early 2017 -- as it intends -- under those terms, Verizon could be forced to fork over approximately $1.1 billion to cover the final three years of the Mozilla contract. But during a conference call with Wall Street analysts last week, Yahoo CEO Marissa Mayer disputed parts of the accounts by Recode and the New York Times. In her prepared remarks, Mayer clarified the contract's impact, citing "questions surrounding our Mozilla partnership," obviously referring to the media reports, to discuss the deal. 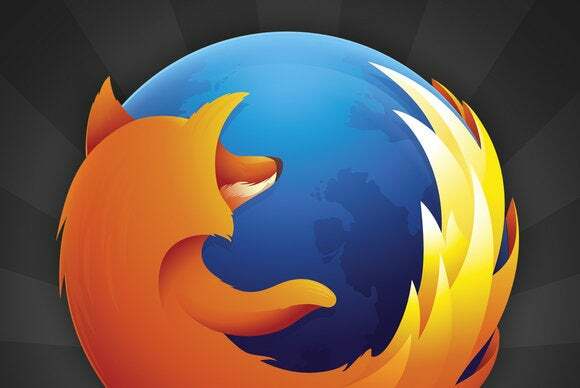 "While we would certainly like to continue the partnership regardless of our strategic alternatives process, should Mozilla choose not to, our agreement does provide for certain mitigations, which would reduce our exposure," Mayer said. "Ultimately, it remains in our mutual best interest to maintain a healthy path forward, and we do hope to do just that." When a Wall Street analyst later asked for more information about the Mozilla deal, Mayer repeated her assertions that the media got it wrong. "On Mozilla there's not a lot more that I can say because it is a confidential relationship," Mayer said. "But we did want to point out, because I think it has been misunderstood, at least with some of the analyses I've seen, it has been misunderstood that there is a mitigation in the contract that ultimately would reduce some of our exposure and liabilities." Mayer's comments did not explicitly confirm the New York Times narrative -- that Verizon would have to pay the difference between $375 million and whatever Mozilla received from a new provider -- but her use of "mitigations" when talking about the contract implied as much. Neither Mozilla or Yahoo immediately replied to questions today about the impact of the Verizon purchase on Yahoo's search sources. But one analyst believes the Verizon-Yahoo deal would not move Mozilla to strike out for another partner. "I don't see why the Verizon acquisition changes either the search or the browser dynamic in the market," said Al Hilwa of IDC. "I think it is mostly an issue of [Verizon having assessed] the risk and factoring that into the valuation of Yahoo." Mozilla might not have options if it did want to abandon Yahoo, a decision that in any case seems improbable, what with the premium it's being paid by Mayer's firm. The other two big players in search -- Google and Microsoft -- have browsers of their own to feed users into their engines. Of the two, Microsoft would appear to be the most likely to add Firefox: Bing badly trails Google in search share, and Microsoft's browser share has sharply slumped this year. This story, "Verizon must pay even if Mozilla walks from Yahoo search deal" was originally published by Computerworld.